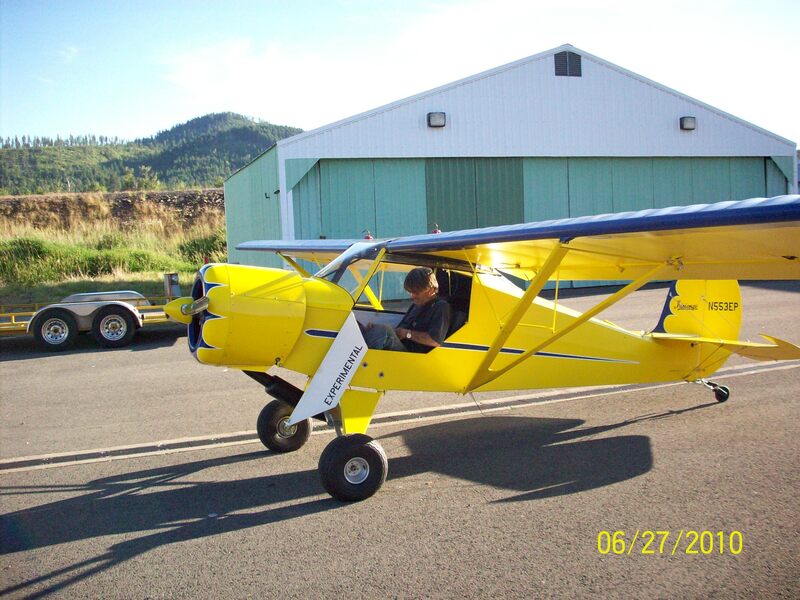 I have always had in the back of my mind to build a Ridge Runner or Sky Raider some day. I wasn't in any hurry to buy one unless I found a super good deal. Well sunday at a local flight breakfast my friend which is the mechanic at the airport said he had a deal for me. 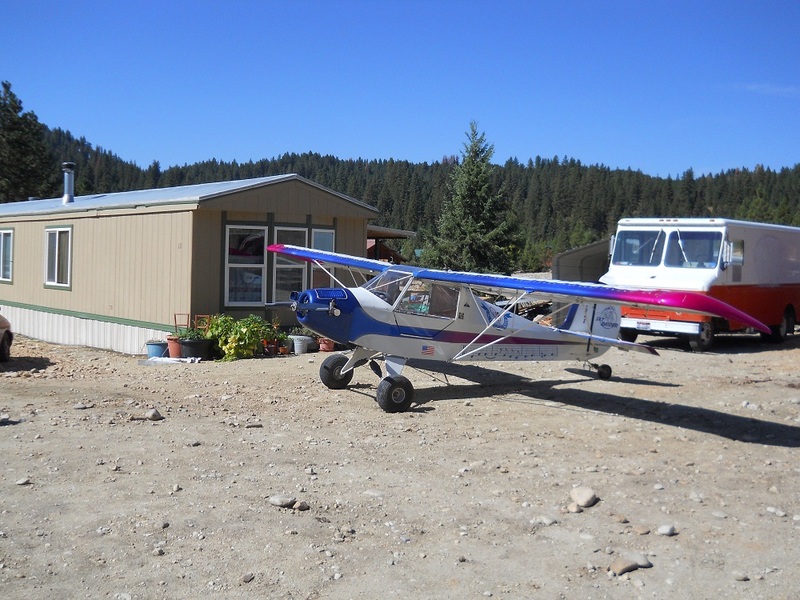 He had a Sky Raider 1 with heavier, bigger gear, heal brakes, bigger tail section, trim tab, 2 doors, 4130 stringers on the fuselage, drooped wing tips, fabric, tapes, wheel ski's, big and small tires, bungee gear, 2 gas tanks ect. 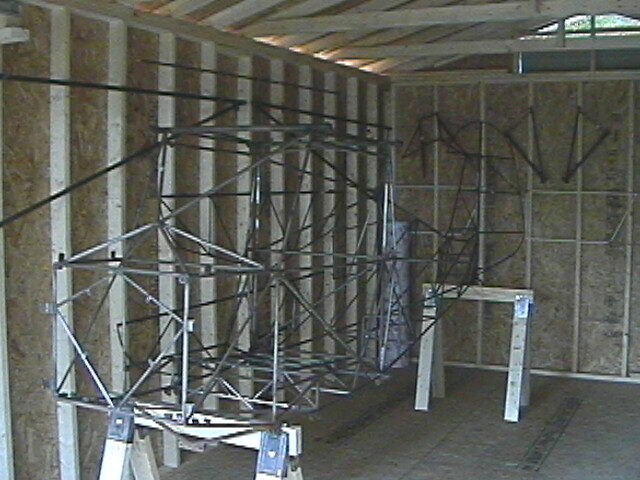 The wings are pretty much built.The Fuselage is on the gear, floor boards, brakes, wheels are all installed, flap handle is on, tail section on. Wings fitted to airframe, but no engine. Once I get it home and everything organized I will know more about the airplane, looked good so far though. So now I have a 582 grayhead FWF for a Avid Flyer or for any other airplane for sale. I would like to put a 503 in the Sky Raider. light weight, no water system to take you out of the air. The early planes perform best LIGHT! Nice looking airplanes! I can't wait to get started on it. I will have some questions on it once I get going. Later this fall I need to get my Avid in the shop to pull the engine and send it in. I also have to put a another new windshield in, replace a couple of senders on the EGT and CHT gauges, put a new belly pan on and patch the fabric between the gear where my old bungee's used to go through. How do I patch that with all of the exhaust oil on the fabric? I would also like to replace the tapes between the gear on the belly also, the paint is all cracked on them. Sooo- 503 is air-cooled. How is that done? Fins? What is horsepower difference? Got photo? Thanks for the rotax education - bet the 503 is also lighter than the 582/532? What are the weights of each? I have a Ridge Runner...almost finished with the wings. I have had a setback due to building a hangar. Now I have a location to have what I need in one general area. The 503 I have is about 100 lds. with exhaust. At least what I have does....free air cooling duct and single carb...C box... 46 hp. Mocking up all the fuse goodies before I start painting steel parts. Much lighter than powder....plus I have full access to a paint booth, epoxies, and the Iwata HVLP line up. Should be part 103...only one 5 gallon wing tank and a pint header tank. You have to be under 254lbs to be part 103. Very very few airframes out there that are capable of it. A 250lb airplane with a 503 would be awesome. Well I have been working a bit today and weighed a few things. My fuse,engine mount,lift struts,all empenage parts,landing gear weighs 82 pounds. 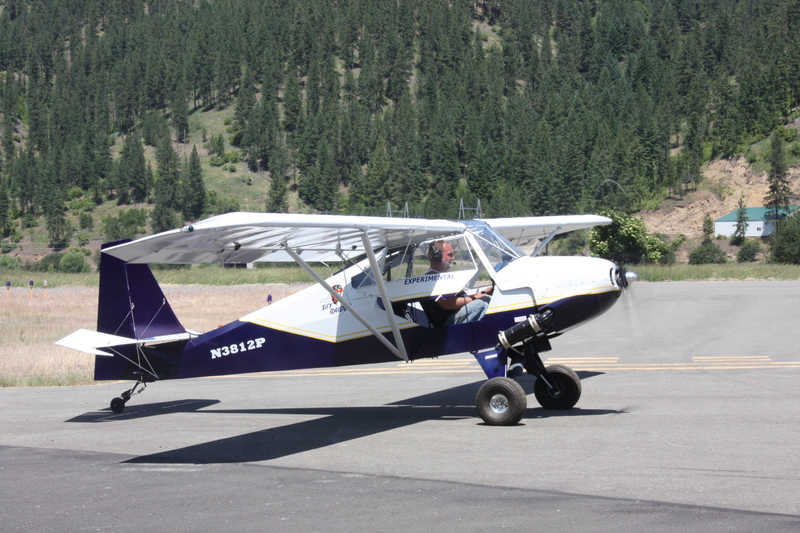 My landing gear including brakes and tailwheel are near 16 pounds. Each wing at this point weighs 19.8 pounds, less cables. I should come in around 270, but am looking for things to lighten up more. May end up with a changing to a lighter power plant or changing the exhaust. Seems odd that the affordaplane with 1/2 vw flys from some airports over weight a bit....like the average weight is around 300. Go figure. Doesn't hurt to try and keep it as light as possible...hopefully it will fly like the 85 HP J3 I was taught to fly in. I have fabric and will go through to a white finish....possible additional weight of 16 to 18 lds.on my project I was told. This was for tapes,stitches,tapes, primer ,UV , and finally white. I would like to see the product that has been in service....with the addition of price comparison. It is going to be tough to beat what has worked for many years and is serviced easily for the price. I like the covering process myself....somewhat soothing to see final assembly nearing at that point. I would be open to checking it out.